Join us for our Summer Camp, this year OM2E summer camp theme is Science, Technology, Engineering, Arts, and Math (STEAM). Camp registration is open to youths ages ranging between 6 to 18 year of age. Campers, will experience an eventful week of learning, moving, having fun, and creating lasting memories. This year OM2E is proud to present special guests leading some of our groups mixing together science and art. Dennis Danehy is a professional Hip Hop Dance instructor. Dennis’s passion for Hip Hop Dance has been passed on to him from generations of dancing in his blood. Dennis’s unique talents have taken him world wide to teach and judge in top talent performances (more on Dennis). 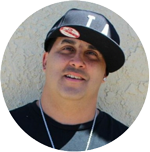 Dennis’s passion and love for the special needs community has led him to partner with OM2E to help share his talent for the arts of Hip Hop Dance. Chef Evan Eusebio from Eviedoodles Kitchen is our resident cupcake guru who has wow’d his consumers with his very own master piece cupcake creations. Evan has paused his entrepreneurship endeavors to give back to a community that is near and dear to him by volunteering his time for this seasons OM2E camp and to share is thirst for science and turning it into an art form. Evan’s goal is to teach and mentor other aspiring artist to unlock their creativity and kick start their own dreams as Evan as done for himself. Cost? Early registration (Ends May 31st) $150 includes materials; Late registration (June 1st-July 20th) $200.